There are many circumstances surrounding the use of a disabled iPhone, but getting the perfect solution to this is all that matters. You probably would be asking questions on how to enable a disabled iPhone without losing data, well, solutions have been provided, and you don’t have to worry. Disabled iPhones with important data and files aren’t entirely useless after all, because you can now enable them if you pay close attention to the three steps that will be explained below. The first step to enable a disabled iPhone without losing data is to back up your data first. If you already have backups on iTunes or iCloud, then you can skip this part and jump to the Step two. If you don’t have back up lately or don’t have any backups, then just keep reading. 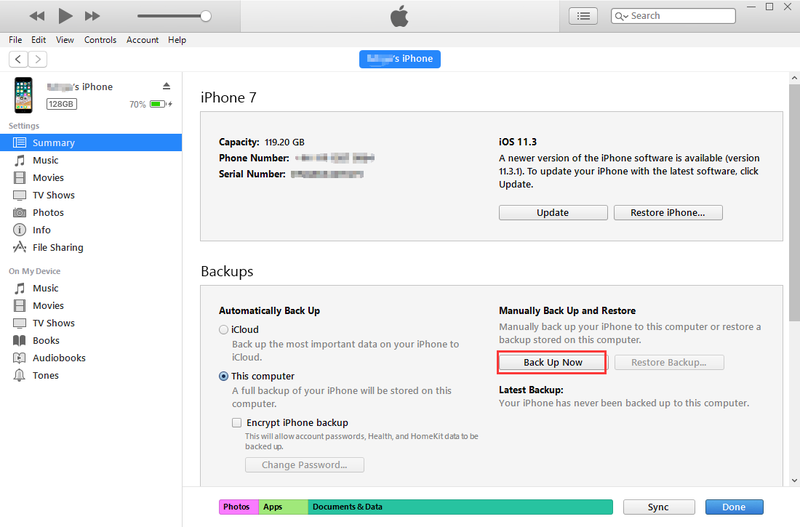 Don’t worry, even if your iPhone is disabled now you can still have chance to back up your data first. If you are using the iOS version before iOS 11.4.1, you can use iTunes to back up your data first. Just connect your iPhone with iTunes and it will detect it, then you can sync it with iTunes to back up your data. If you are using the iOS 11.4.1 version and those above it, it depends on if you have turned on the USB Accessories on the Settings. If you have turned it on, then you can still connect with iTunes to back up your data before you use the unlock tool. Click on the Device icon on the left side of the iTunes window. Click Done when it finished. Note: Please make sure that you have synced with iTunes before. After you backed up your data, now you can precede to the second step to enable a disabled iPhone without losing data. There is one perfect way in which you can enable your disabled iPhone back. This is with the use of a lock tool called iMyFone LockWiper. 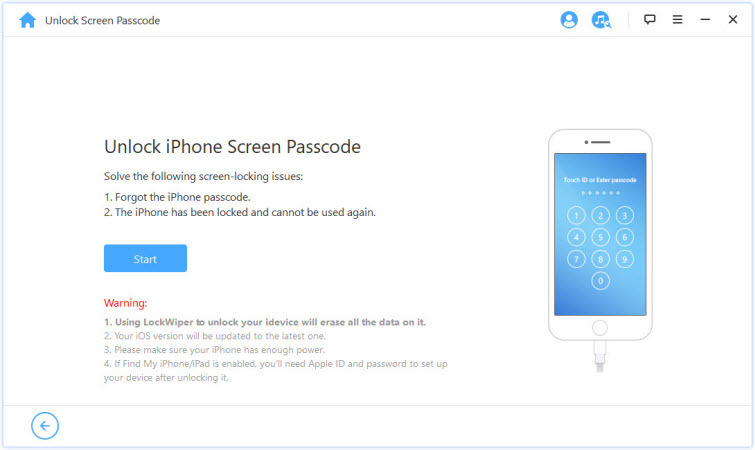 iMyFone LockWiper can be used to unlock several Apple devices like iPhone, iPad, iPod, etc. It is very effective and ensures that the quality of the device is not compromised. Except disabled iPhone, any type of iPhone either broken, locked can be enabled or unlocked without stress. Simply removes Apple ID from your disabled iPhone and allows you to set up a fresh new one. 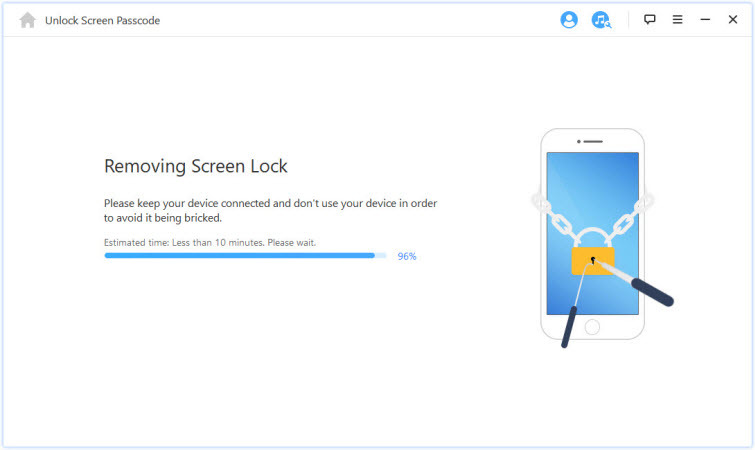 Any iPhone screen lock can be removed easily without passcode. For long passcodes having 4-6 digits and tech such as Face ID and Touch ID, it can easily unlock them and grant access. It even supports the latest iOS version of iOS 12 and the latest iPhone Xs Max. 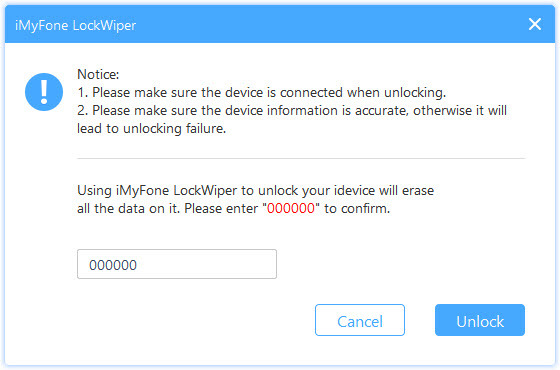 1: Launch iMyFone LockWiper and click on Start. 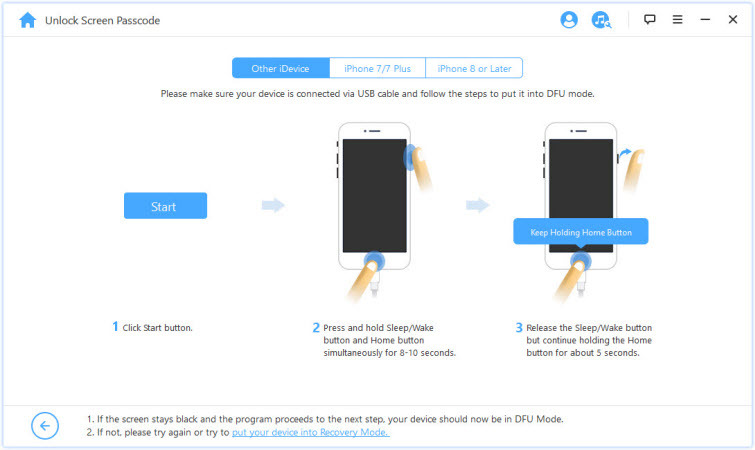 2: Connect your iPhone with the program and put your iPhone to DFU/Recovery Mode. 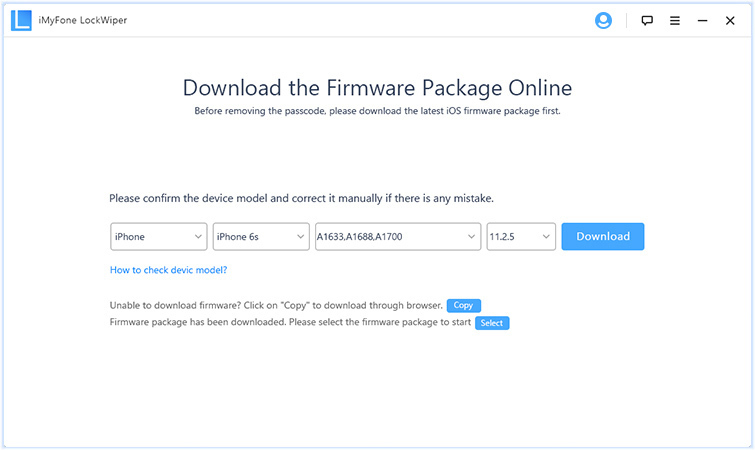 3: Download the firmware and start to verify it. 4: After it verity the firmware successfully, click on Start Unlock to continue. 5: Put in the 000000 to confirm the process. 6: Wait until the program unlock your iPhone. It’s the last step to enable a disabled iPhone without losing data. 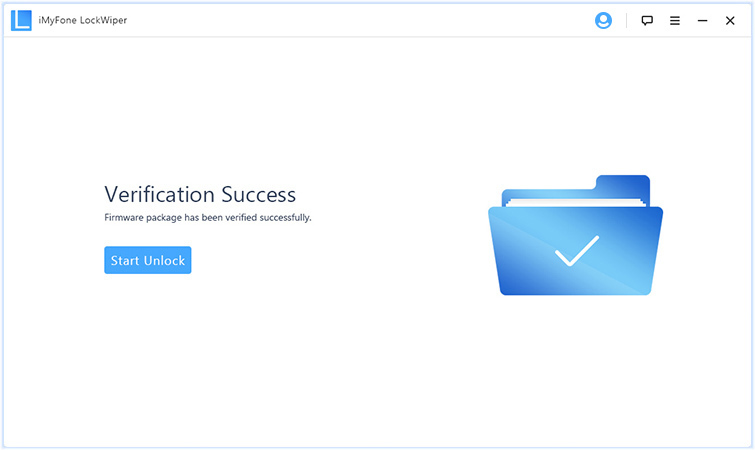 Now you have already unlocked your iPhone, so it’s time to get all your data back from iTunes. Let’s see how to get your data back from iTunes. 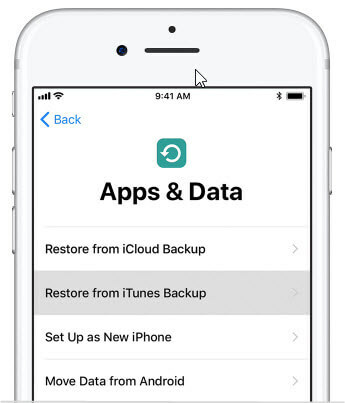 1: After unlocking your iPhone, choose Restore from iTunes Backup. 2: Launch iTunes on your PC either Windows or Mac Book that was used to back up data. 3: Make a connection with your iPhone via a USB cable. 4: Select the model of your iPhone on iTunes. 5: Click on Restore Backup. Doing these, all data that has been backed up in iTunes will be transferred to your iPhone. In conclusion, you can have the easiest way with just three steps to apply to the solution for you on how to enable disabled iPhone without losing data. Though you could have the powerful tool to unlock your iPhone for you, it’s recommended to back up your data more often, no matter with iTunes or iCloud.